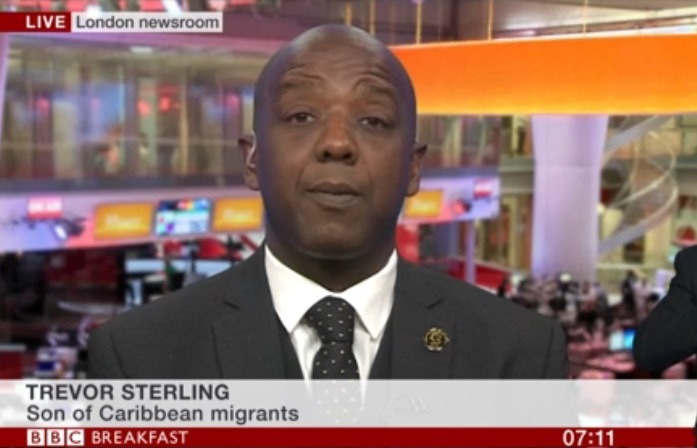 Trevor Sterling, Chair of the Mary Seacole Trust, appeared on BBC Breakfast last week to highlight concerns around the Government’s “Hostile Immigration Environment” policy and its impact on the Windrush Generation, calling for immediate action. On 22nd June, Britain will celebrate the 70th anniversary of the Commonwealth citizens from the Caribbean docking at a small port in Tilbury following a request for support from the British Government to help re-build Britain following the Second World War. Sadly, the Windrush Generation, named after the MV Empire Windrush boat that brought the first 492 West Indian settlers to Britain in 1948, have instead been increasingly subject to the hostile immigration environment leading to many losing their jobs, being refused medical treatment and placed at risk of administrative removal (generally referred to as “deportation”. Trevor Sterling, whose parents arrived in Britain in 1959 as part of the Windrush Generation, has been speaking out on the treatment of those impacted to ensure that whilst Theresa May has now publicly apologised, Britain understands the importance and the contribution made by these people, many of whom lived in these now Commonwealth countries prior to independence from Britain. Throughout last week, Trevor attended a number of events to speak on behalf of those affected, appearing on BBC Breakfast T.V, attending a reception with Andrew Holness, the Jamaican Prime Minister, and attending an open discussion at the House of Commons hosted by Diane Abbott and Patrick Vernon.